Golding, J. M., Burnam, M., Benjamin, A., Wells, B., & Kenneth, B. (1992). Reasons for drinking, alcohol use and alcoholism among Mexican Americans and non-Hispanic Whites. Psychology of Addictive Behaviors, 6(3), 155-167. [PDF file]. Retrieved from PsycARTICLES database. This scholarly journal article presents research findings of the reasons of alcohol abuse. The reasons were divided into two subjective categories: social and individual. The participants of the research were 915 non-Hispanic whites and 725 Mexican Americans randomly chosen males who reported drinking alcohol at least one time during the last six months. The authors of the article distinguished such types of drinking as “heavy drinking, frequent drinking or alcohol abuse or dependence” (pg. 155). However, the reasons for drinking are various and depend on different factors such as age, ethnicity, economic conditions, demographics and culture. The researchers highlighted several reasons for drinking alcohol such as a celebration of some event, escaping or forgetting troubles, psychological problems, financial difficulties, increasing self-confidence among others. 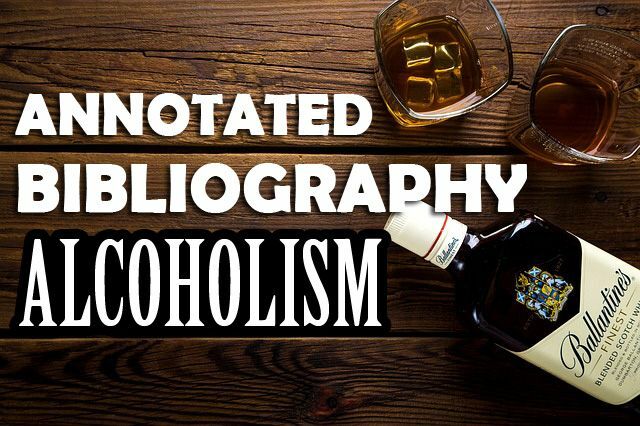 This article is appropriate for the topic of this research paper because it provides information on non-genetic social factors, which lead to alcoholism. Goodwin, D.M. (1979). The cause of alcoholism and why it runs in families. British Journal of Addiction, 74, 161-164. This article provides some aspects that cause alcoholism and the reasons why this problem arises in British families. It is claimed that the problem of alcoholism is tied to culture and ethnicity of a person. Moreover, Goodwin states, “the strongest predictor of alcoholism is a family history of alcoholism” (pg. 17). However, it does not mean that alcoholism is inherited. The children in families where alcoholism is a problem are constantly witness alcohol abuse and learn different sides of drinking from the early childhood. At the same time, individuals who are genetically predisposed to drinking alcohol such negative knowledge of alcohol drinking in families will eventually play crucial role in their further life. This article is directly related to the topic of the research paper as it provides some of the suggestions of genetic, as well as other factors, which might lead to the problem of alcoholism in British families. Quickfall, J., & el-Guebaly, N. (2006). Genetics and alcoholism: How close are we to potential clinical applications? Canadian Journal of Psychiatry, 51(7), 461-467. This article presents the findings, which prove the great contribution of genes (from 50% to 60%) to the development of heavy drinking. Such assumptions were based on the studies analyzing families with twins and adopted children. In addition, the researchers found chromosomal regions and individual genes responsible for the development of alcoholism. The authors of the article also discuss the further pharmacogenetic sides of treating alcoholism and related clinical applications of the findings. The findings presented in this article have important information for the research paper on alcoholism as they present direct connection between individual genes and development of alcoholism. Sartor, C.E., Lynskey, M. T., Bucholz, K. K., Madden, P.A.F., Martin, N.G., & Heath, A.C. (2009). Timing of first alcohol use and alcohol dependence: Evidence of common genetic influences. Addiction (Research Report), 104(9), 1512-1518. DOI: 10.1111/j.1360-0443.2009.02648.x. This research report presents the findings of the analysis of the correlation between the age when the alcohol was used for the first time and risk for developing alcohol addiction. It was concluded that too earlier beginning of alcohol drinking (14 years or younger) leads to higher rates of addiction. The researchers concluded that the genetics plays significant role in the development of alcohol addiction. Both alcohol initiation and further addiction are depending on the genes factor. This article is relevant to the current topic of the research paper as it presents the scientific evidence of the correlation the contribution of genes and alcohol initiation and further substance addiction. Vijverberg, S.J.H., van Berkel, J., Pieters, T., Snelders, S., Braam, R., Dupont, H., Kaplan, C.D., & Meijman, F.J. (2010). Heredity and predictive testing of alcoholism: An exploratory study of the views of Dutch alcoholics, at-risk drinkers, and health care providers. Journal of Addictions Nursing, 21(4), 174-82. [PDF file]. Retrieved from CINAHL database. The journal article presents the analysis of 26 Dutch former alcoholics, at-risk drinkers, and alcoholism service providers on the inheritance of alcoholism and on prognostic analysis. The major method of the research was interviewing. According to the findings of the research, “genetic knowledge and technologies did not contribute to a more uniform understanding of ‘alcoholism’” by the participants (pg. 180). The article contains information, which is important for consideration in analyzing genetic, as well as other factors leading to the development of alcoholism. Zapolski, T.C.B., Pedersen, S. L., McCarthy, D. M. S., & Gregory, T. (2014). Less drinking, yet more problems: Understanding African American drinking and related problems. Psychological Bulletin, 140(1), 188-223. [PDF file]. Retrieved from PsycARTICLES database. The authors of this article present a research analyzing alcohol abuse among African Americans. Unlike European Americans, this ethnic category is characterized by “later initiations of drinking, lower rates of use, and lower levels of use across almost all age groups” (pg. 188). The article presents some of the aspects, which discourage African Americans from heavy drinking such as a higher proportion of legal problems compared to those of European Americans. The authors present the analysis of the causes of alcohol abuse associated with age, economic instability, unemployment, racism, and residential discrimination. This article is relevant to this research as it helps to understand the causes of alcohol abuse other than genetic ones better.